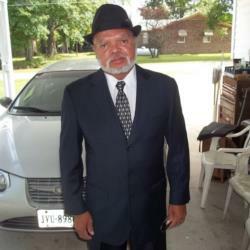 Norfolk, VA - Charles Pernell Golsby, 70, departed this earthly life on Monday, September 10, 2018 in the medical facility of Sentara Medical Hospital. Honoring the request of the decease, all services will be held private. So sorry to hear about our beloved cousin passing. Looking at this picture on the funeral home site He reminds me so much of our dear father,Lindsey Coley. Sending our sincere condolences to Chris and all his sisters. Love you all from the family of his uncle Lindsey to all my sweet cousins. God be the glory and your companionship during this sad time.Sending our love from one family to another.